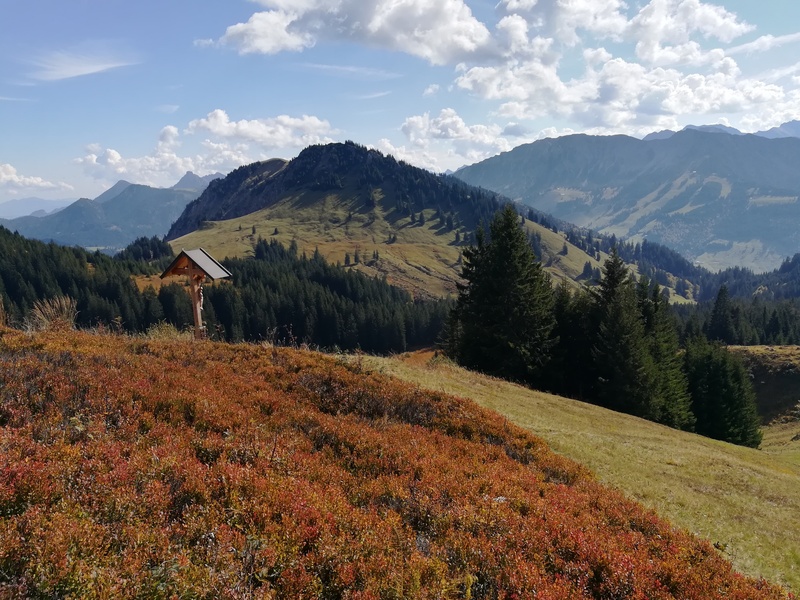 The last ten day stretch of walking was full of transitions. 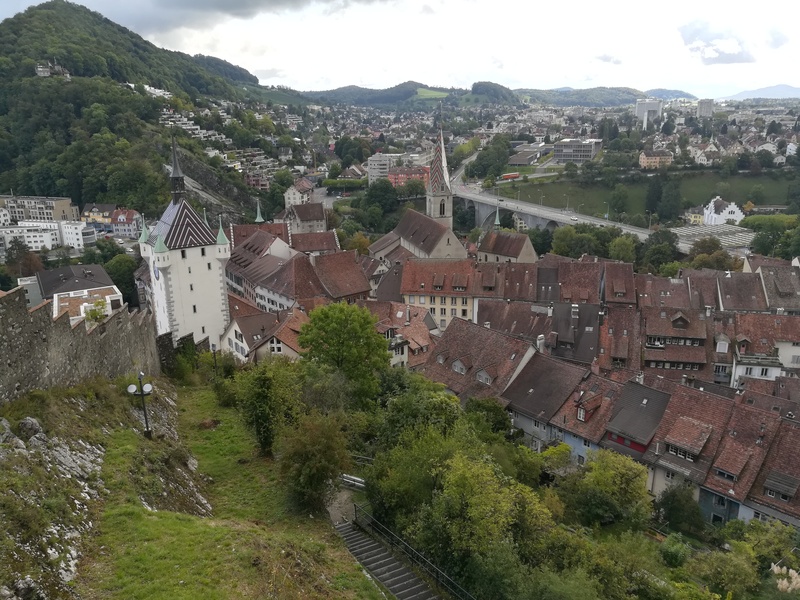 Brugg was the gateway to the less hilly and more populated end of Switzerland, which was a nice change after some cold, wet, windy and muddy days high above the lake-filled valleys below. 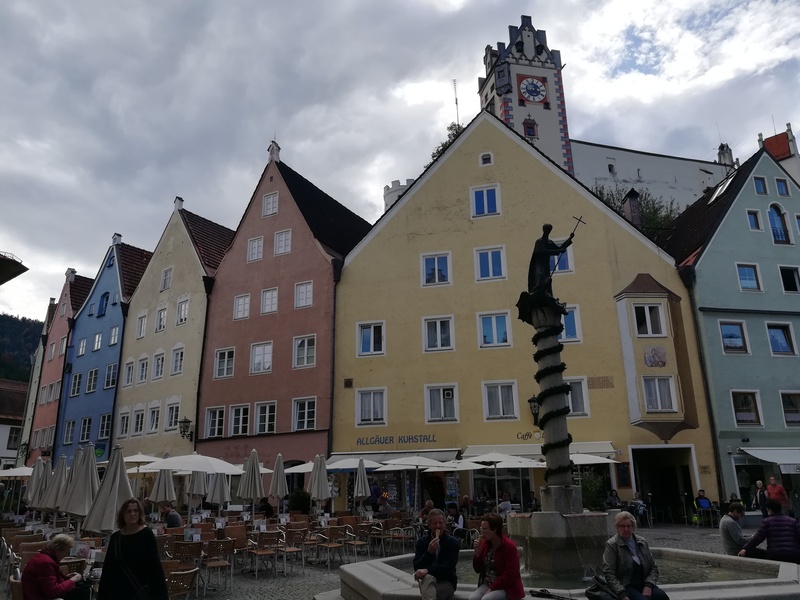 The first day out of Brugg was highlighted by the dramatic descent through the castle ruins into the city of Baden, and the old hilltop village of Regensberg. 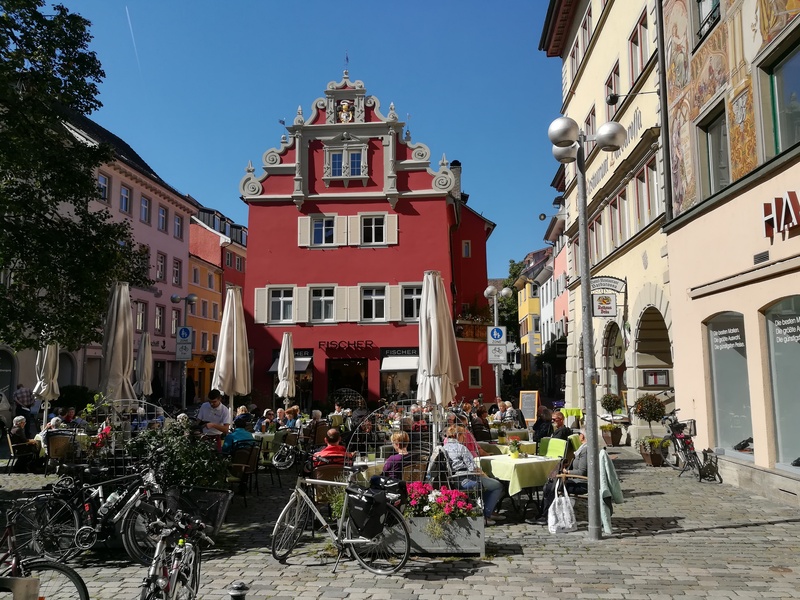 I really enjoyed the old town of Baden, and it was a great place to stop for a full breakfast on a Sunday. After lots of stairs and a rocky ridgline hike out of Baden, the castle turret of Regensberg came into view. 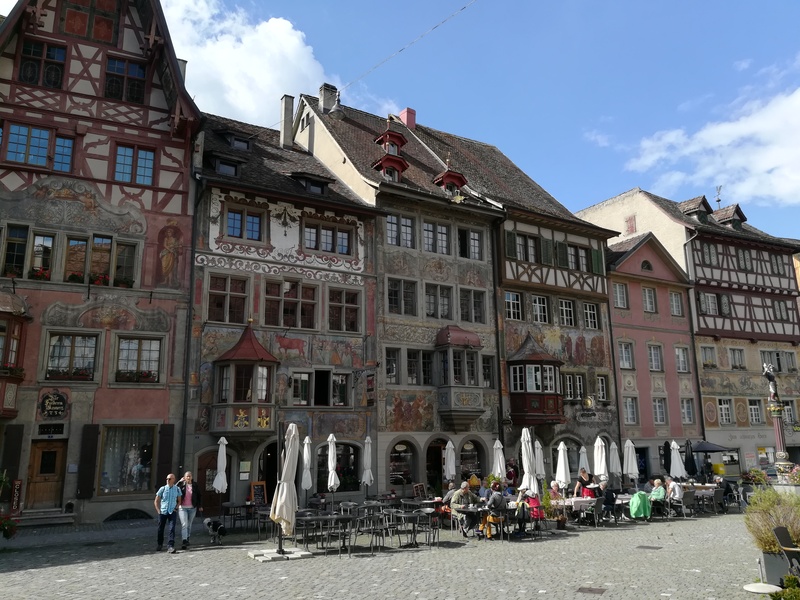 The old courtyard houses of Regensberg were amazing, and were introductory examples of the timber frame (fachwerk) houses that are common in Northeast Switzerland. This style was shown in full regalia in the center of Bulach, a few kilometers out of Regensberg. The traditional red and green fachwerk is lovely and uniquely Swiss. 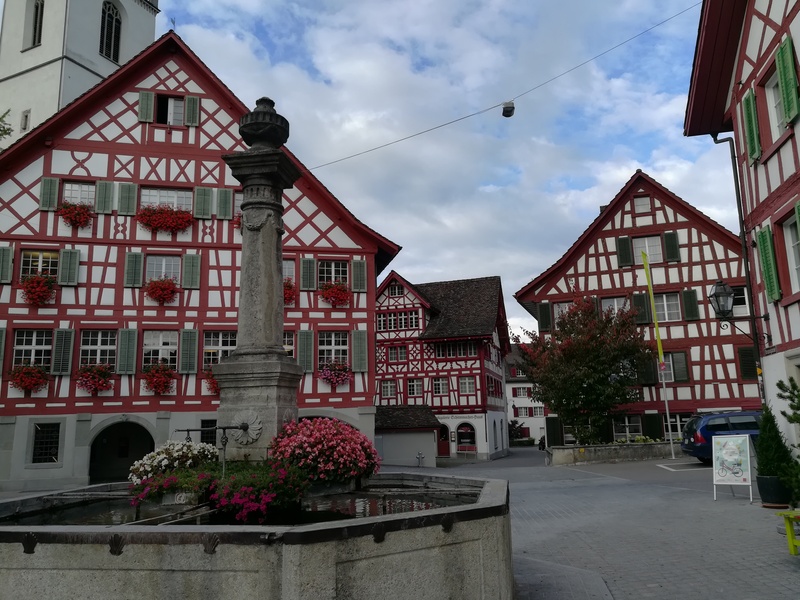 Parts of Germany also have this type of construction, but the bright reds and greens make the Swiss version unique. 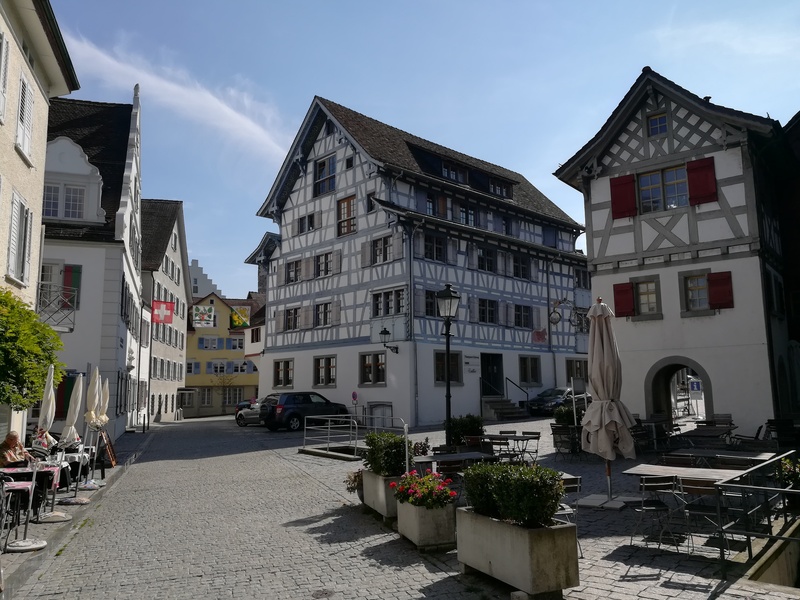 There was a lot of pleasant walking through rolling farmland and patchy forest after Bulach, and I stayed in the fachwerk-dappled village of Andelfingen. 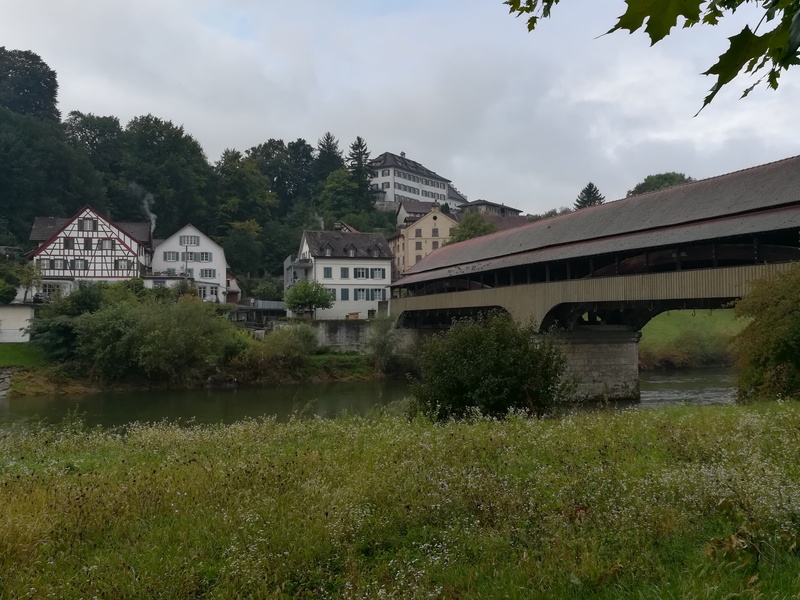 Leaving Andelfingen, there was a nice example of the covered bridges in this area. 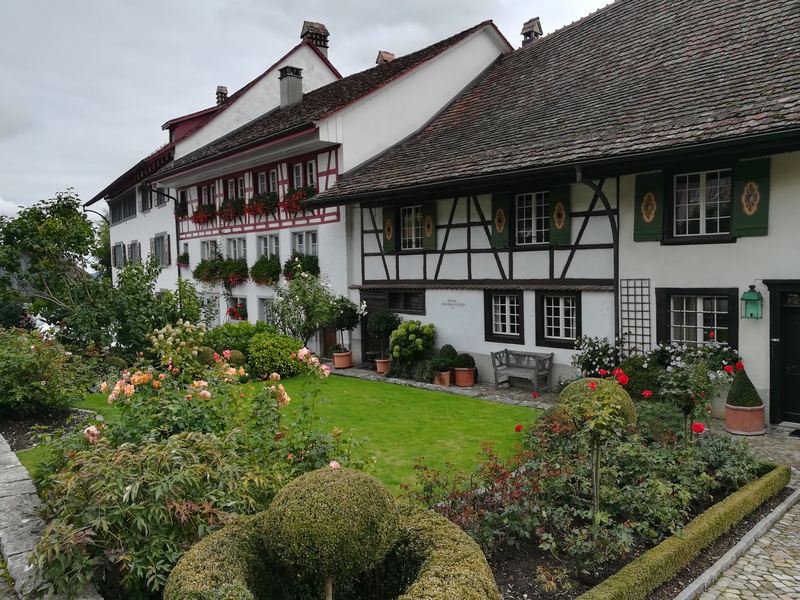 Through another day of rolling farmland, I arrived at the Rhein River and the stunning town of Stein am Rhein. This place ranks highly on my “great travel scale”. 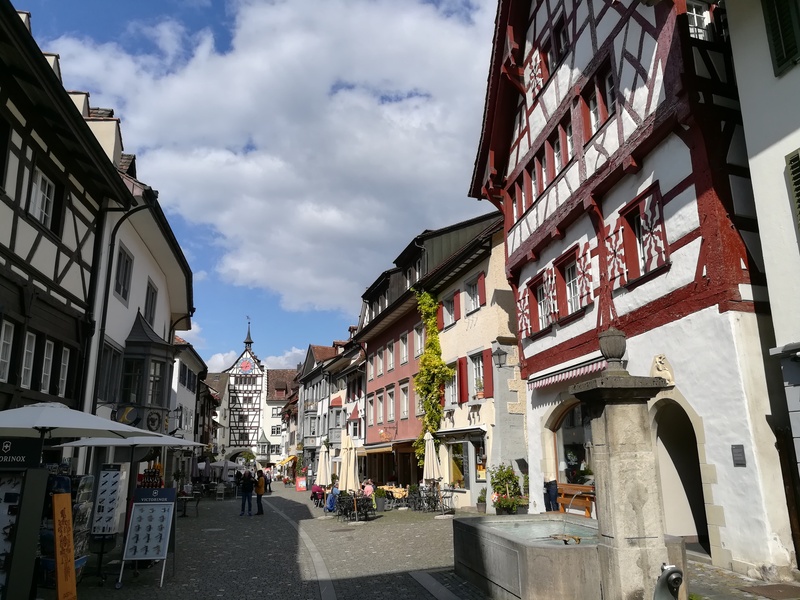 For being only about an hour and a half drive from Zurich, the town was not overrun by tourists, and it was full of interesting sights and beautiful architecture. 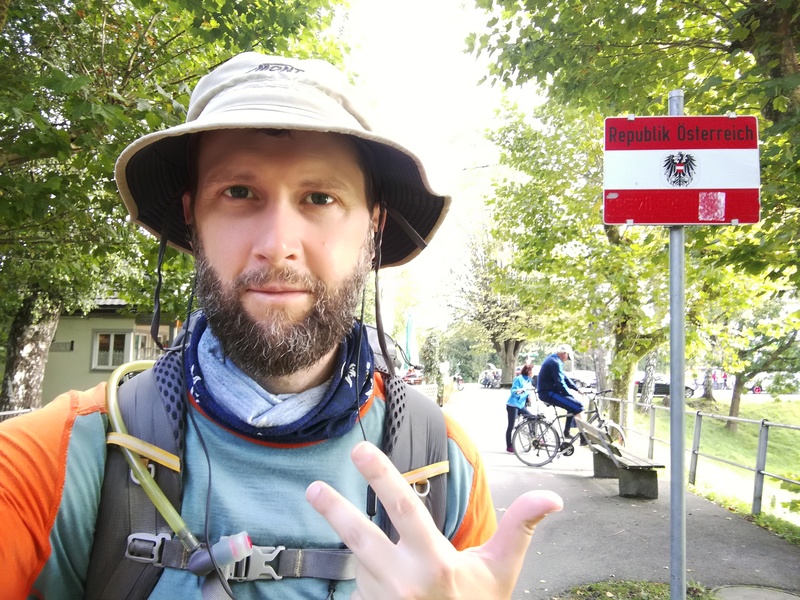 Once I had made it to the Rhein River and the eastern border area, the path followed the river to the southeast as it widened into the massive Bodensee (aka Lake Constance). There were many villages scattered along the bank, and I could see the church spires appearing as I approached each one. 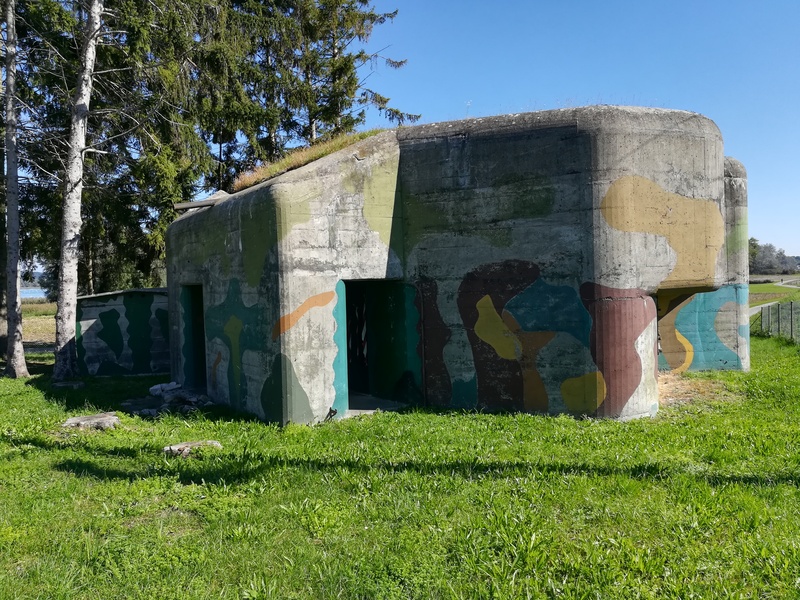 Common in this area are WWII pillboxes, which were also common in the Jura mountain area of Switzerland. 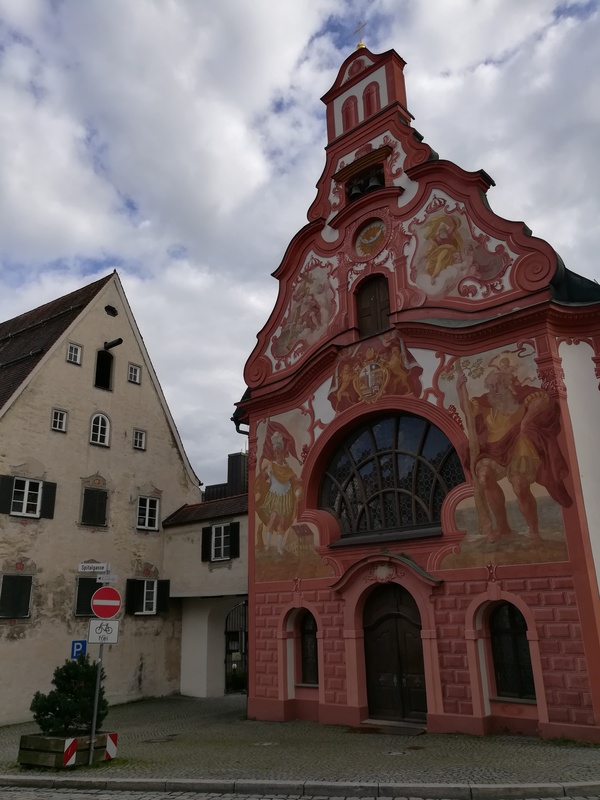 This example is just outside of the German city of Konstanz near the German-Swiss border. 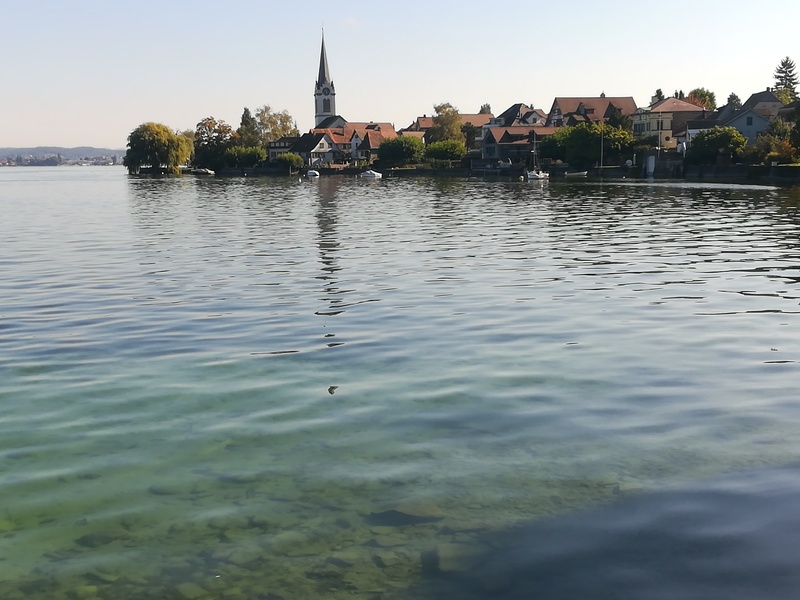 Konstanz is unique in that it resides on a little outcrop of land on the Swiss side of the Bodensee, so it is bordered by water on one side and Switzerland on the other. 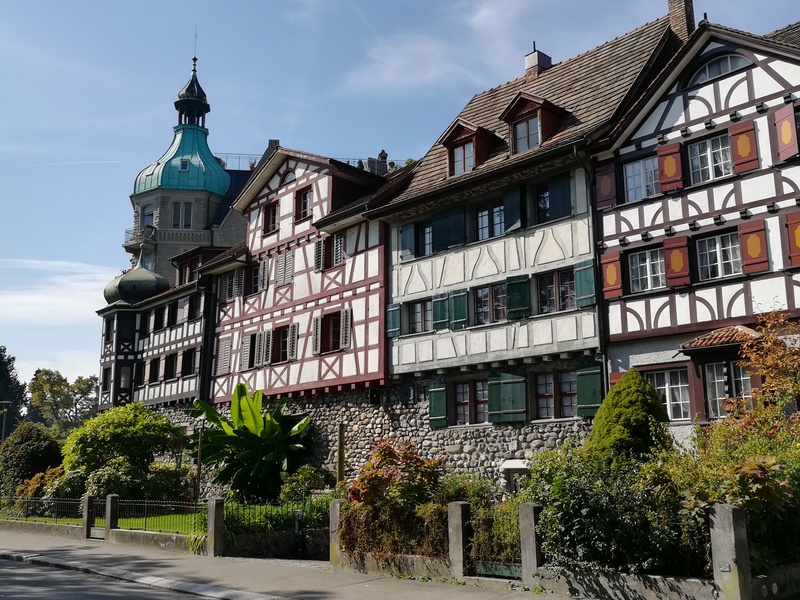 I crossed through the old, disused border station into Konstanz for a quick lunch break in this beautiful city. 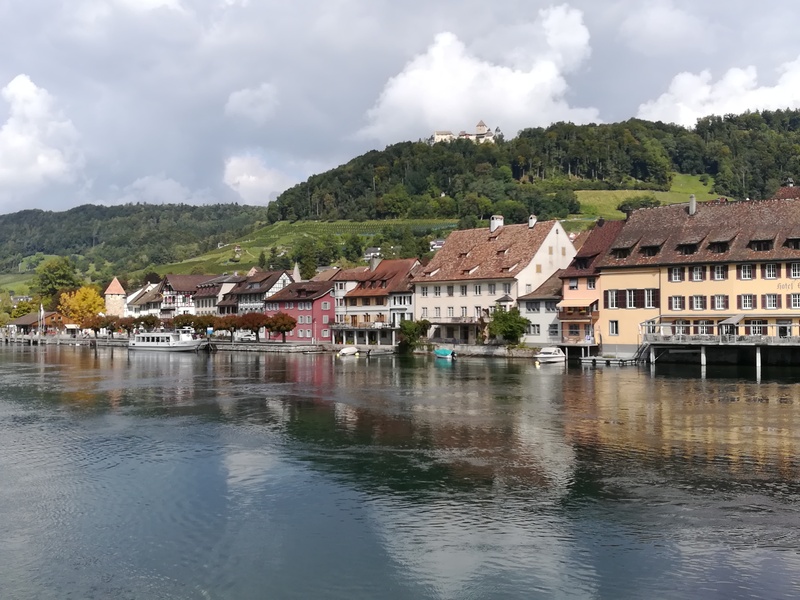 Over the next couple of days I continued along the edge of the Bodensee, passing through the lovely town of Arbon and others before crossing a covered bridge into Austria. 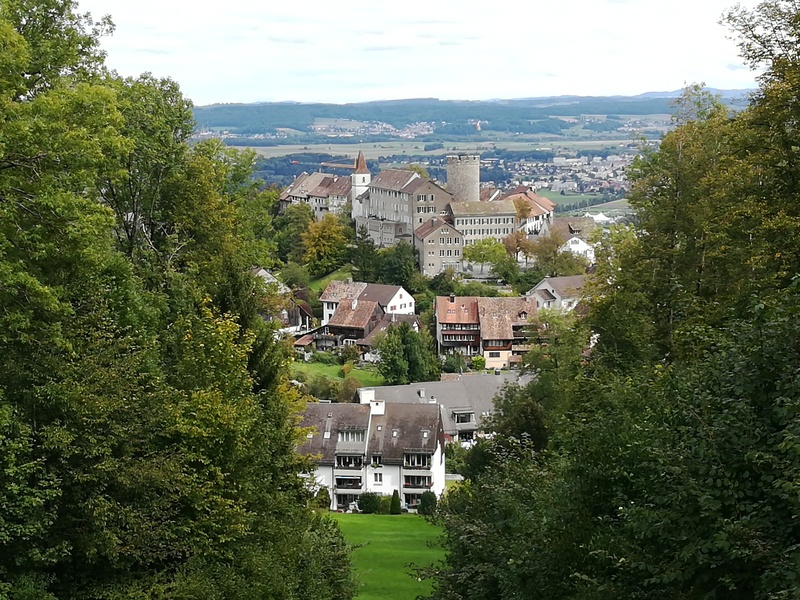 Another half day of walking took me into the city of Bregenz. Only had a limited time to look around and see the sights since I wasn’t taking a rest day there. The waterfront was buzzing with activity and the public areas were loaded with locals enjoying their drinks and conversation. 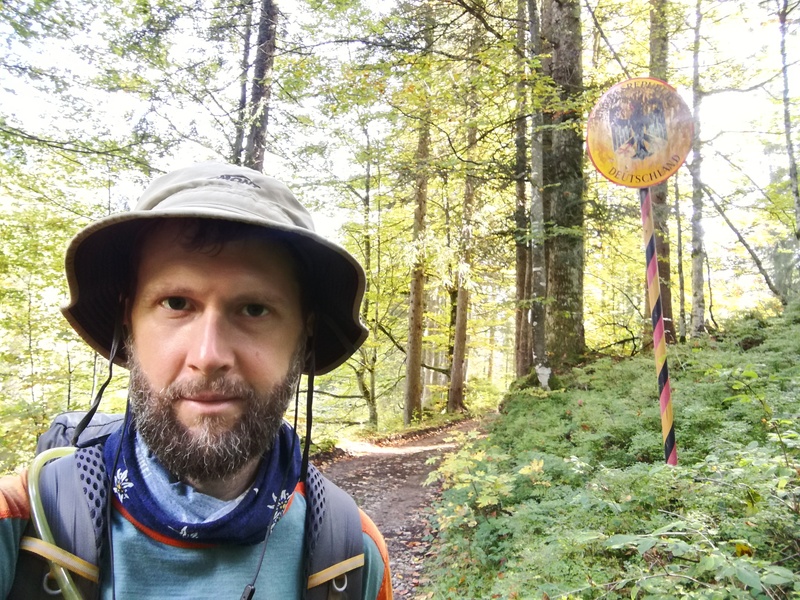 I spent a second day in Austria, traversing rolling, green farms and forest swathes before stopping a few kilometers short of the German border at Hittisau. 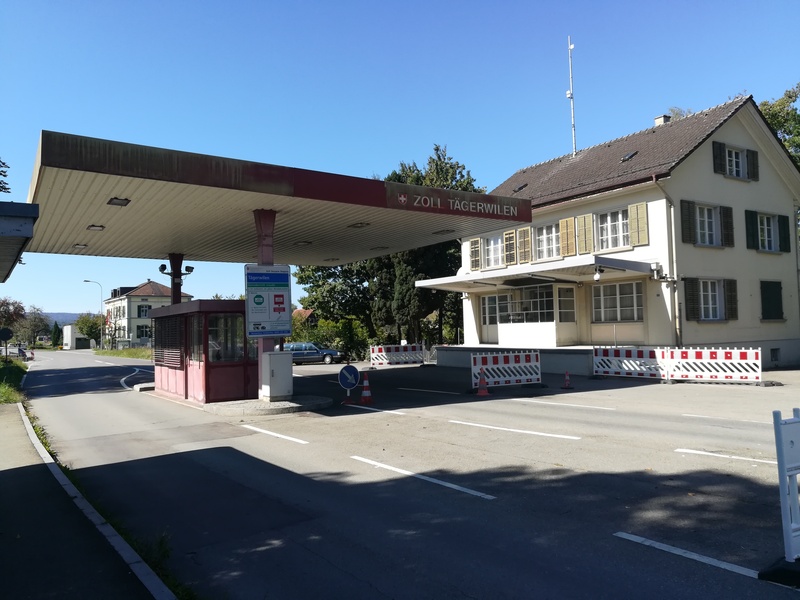 Shortly after leaving Hittisau in the morning, I crossed the border into Germany. In the rolling hills near the border, I ran into two people that were wearing North Korea (DPRK) track suits. I thought this was a bit strange, and I was going to take a photo of them, but decided not to be rude. We all smiled and exchanged greetings as I passed. I later learned that these two people were Ryom Tae-Ok and Kim Ju-Sik, North Korean figure skaters that were competing in the nearby village of Obertsdorf for a spot in the upcoming winter Olympics. They performed well enough to qualify for the Olympics. You can read about it via CNN here, although I would urge you to navigate around the political crap in this article. They are Olympic athletes, not political pawns. 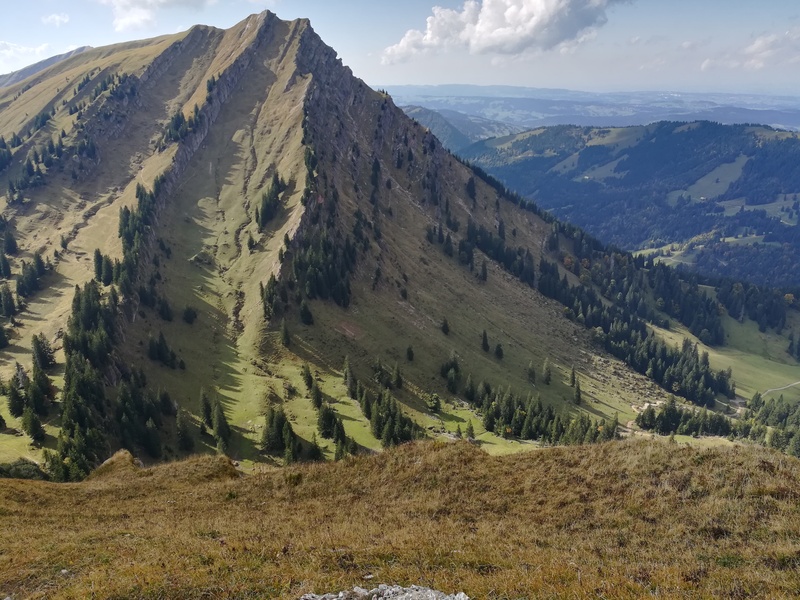 The path then made a steep climb up to the top of the Hochgrat, where there was a gondola station and amazing views over the snow-capped Alps. I had to traverse the spine of this ridge, which was spectacular and challenging. The following day was more of the same. 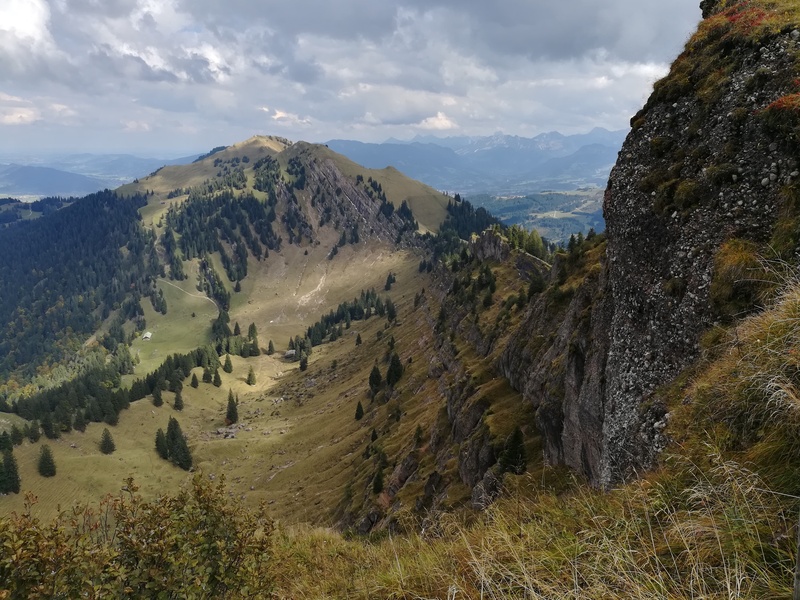 A gradual climb out of Sonthofen yielded some amazing views over the Alps before following a river into the town of Pfronten. 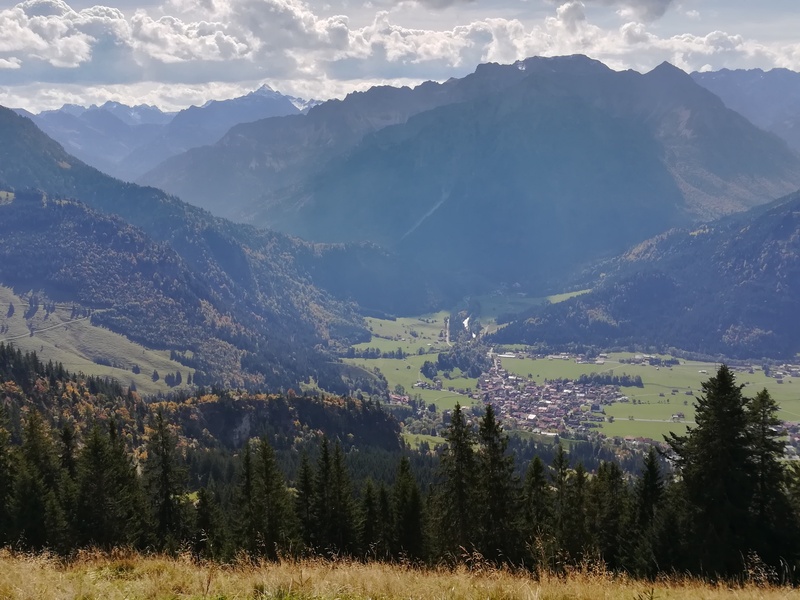 The last day from Pfronten to Fussen was one of the most spectacular days that I have had on the entire trip. 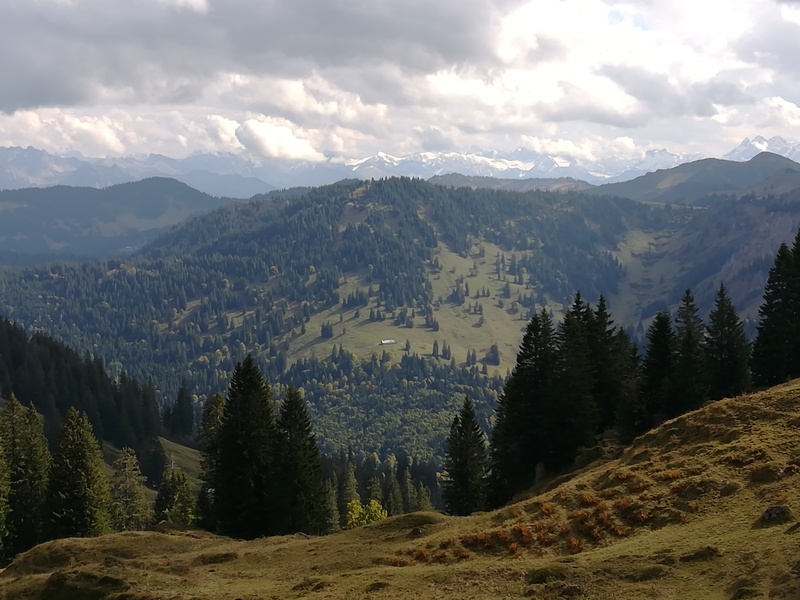 The first section was a steep climb to the castle ruins at Falkenstein, an old castle of Ludwig II. 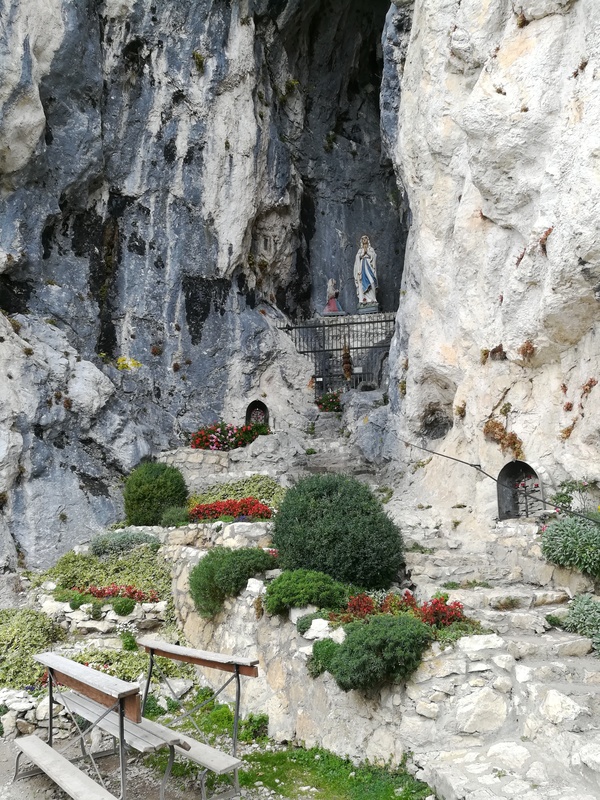 The ruins themselves were not that impressive, but the view from that location was something to behold, and the grotto tucked into the rock face below the ruins provided a silent sanctuary. 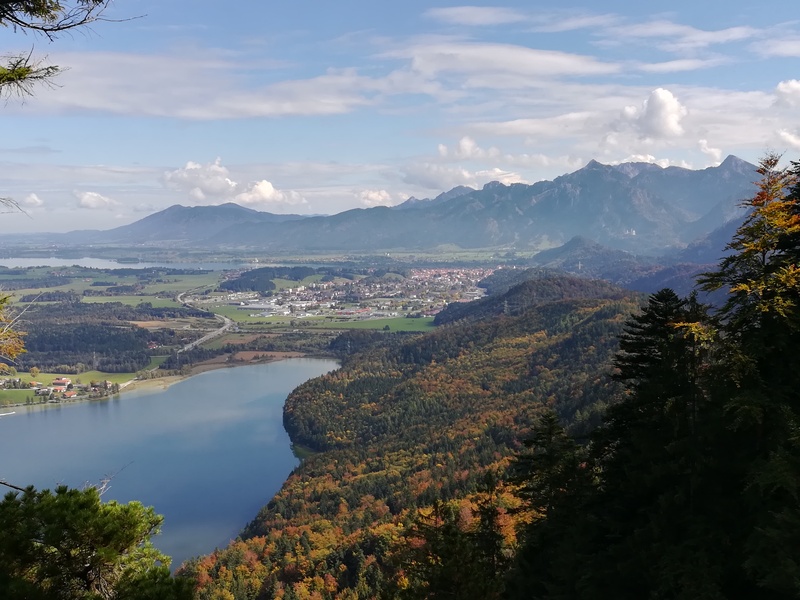 The rain cleared nicely as the afternoon progressed, and the descent from Falkenstein through the forest surrendered some panoramics of the lakes and Fussen with the Neuschwanstein castle on the hill behind. All were bathed in the warm glow of the Autumn leaves. There was no wind at all. 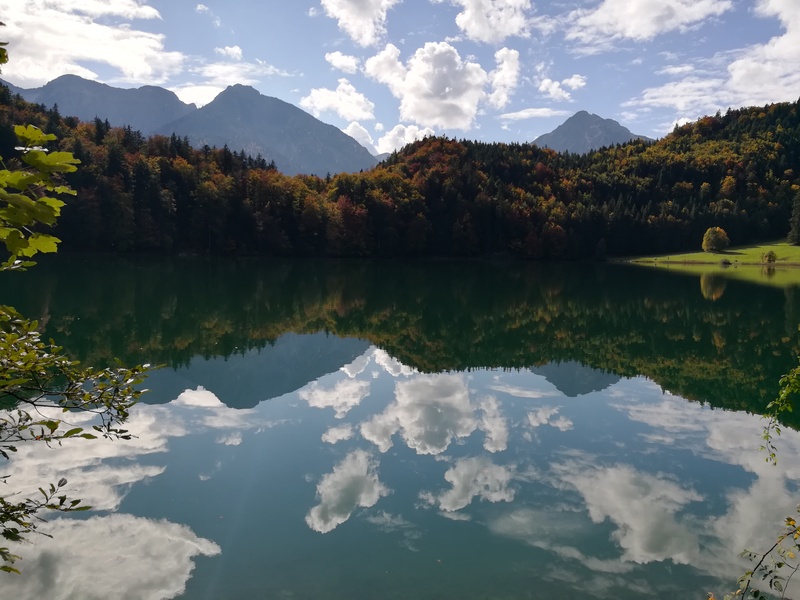 Upon arriving at the low lakes, the water was so still that it was like looking into a mirror with the views superimposed onto the glassy surface. 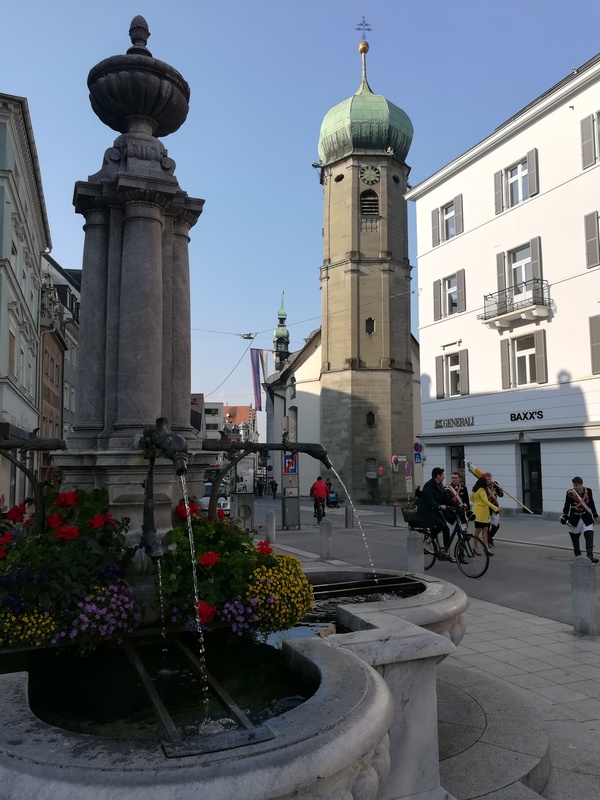 I arrived in Fussen for my rest day. 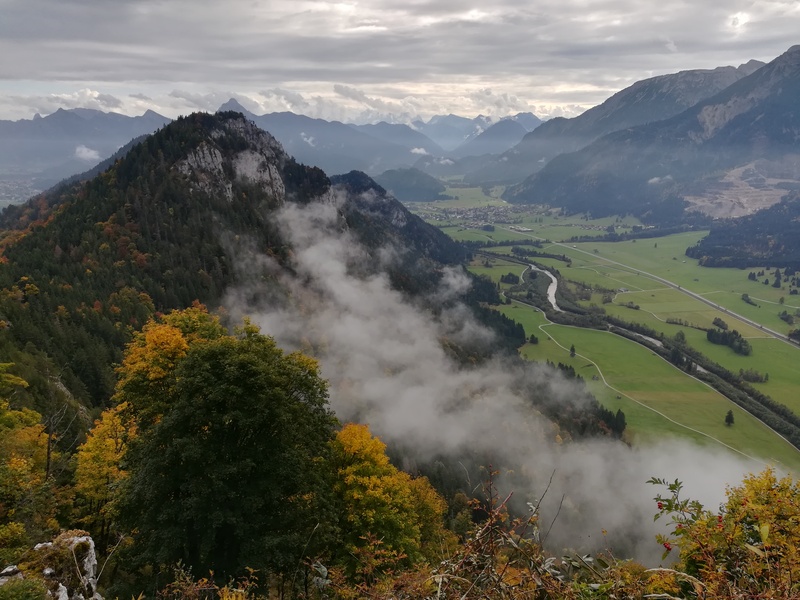 Fussen is fantastic. 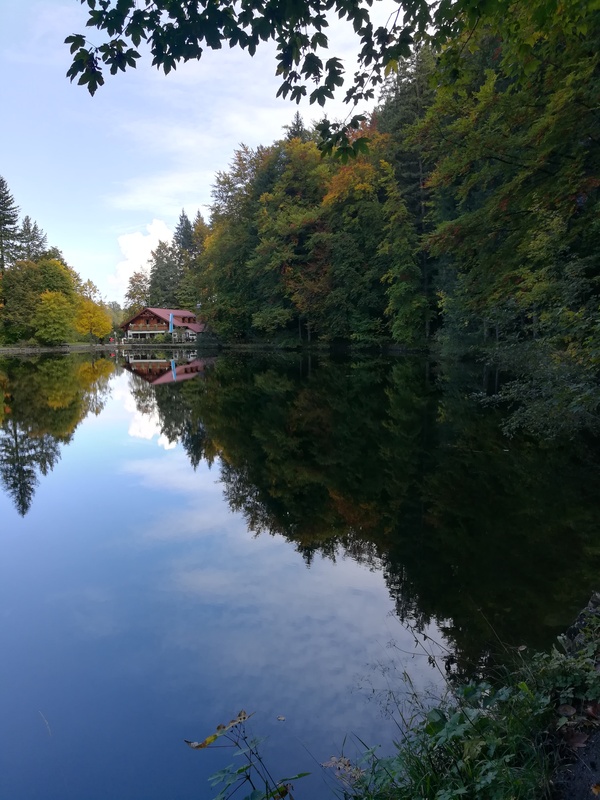 It’s a bit busy with people that are visiting nearby Neuschwanstein and Hohenschwangau, but it has some nice sights itself, including the Hohes Schloss, Benediktinerkloster, and the Heilig-Geist-Spitalkirche. I want to thank Petra for hosting me in Fussen. Looking forward to Petra being part of my extended family in Germany.